You can finally try this meal that was made popular by Will Farrell‘s holiday Classic. 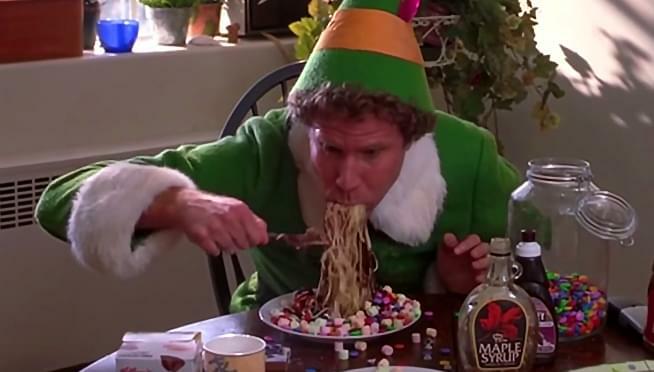 Buddy the Elf‘s breakfast-of-choice will be available at one Chicago restaurant throughout the holiday season. Miss Ricky’s at the Virgin Hotel is offering the bizarre menu item though Christmas Day. The dish comes complete with marshmallows, s’mores Pop-Tarts, M&M’s, Oreos, Fruity Pebbles and more! It’s the perfect menu item for the elf in your life…and probably gross to most non-elves.